The official theory test is a relatively recent addition to the driving test, and has evolved and become more comprehensive over time. 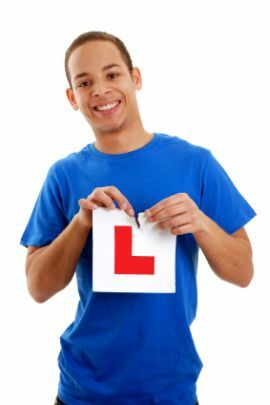 For many of us who ask our parents about the driving test, they have vague memories of being asked perhaps one or two questions at the start of the test about cars, but then getting on with the practical test itself. Well, the point of the theory test is to ensure that new road users - those who pass their learners test - are aware of the rules of the road. Additionally, since the introduction of the hazard perception test, the theory test also ensures that they are aware of potential hazards and think about potential hazards and developing hazards whilst they are driving. Research and statistics show that when a learner passes their test and becomes a licensed driver, they are more vulnerable than most in the first few months after they pass their test. Therefore by ensuring that they have passed a theory test it helps ensure that not only they know how to drive but also understanding driving theory, hazard perception. The ultimate aim is therefore to increase road safety for all and decrease the number of accidents that occur. So the aims behind the theory test are noble and therefore you should see it not as a chore and extra expense but something that provides you with valuable information about the road and other road users, and thinking about hazards and so on could potentially save your life or that of other road users one day. It is in this context that you can see preparing thoroughly for the theory test is important; and of course you have to pass the theory test before you can take the practical test and become a fully fledged road user.